Conway told police she was attending a birthday party last year when she felt somebody grab her shoulders from behind and shake her. COLLEGE PARK, Md. — A Maryland woman faces charges she assaulted White House counselor Kellyanne Conway in front of her teenage daughter during a confrontation last year at a restaurant in a suburb of Washington, D.C. 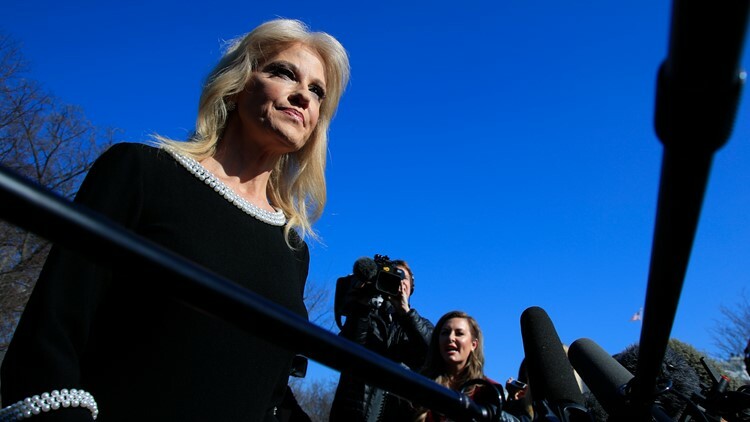 Counselor to the President Kellyanne Conway speaks to reporters outside the West Wing of the White House in Washington, Monday, Feb. 4, 2019.